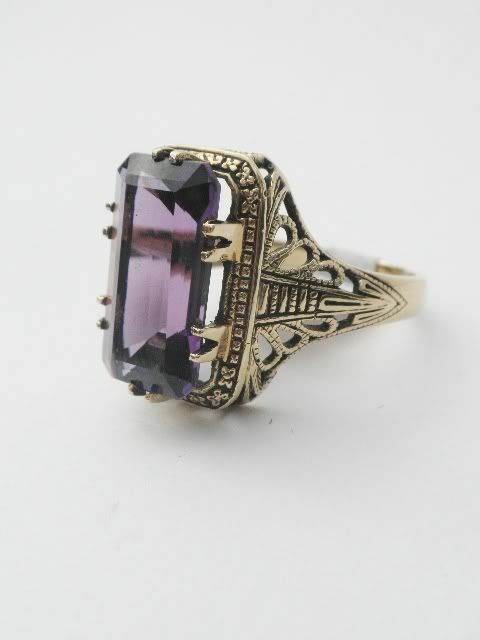 English 10k amethyst filigree ring. 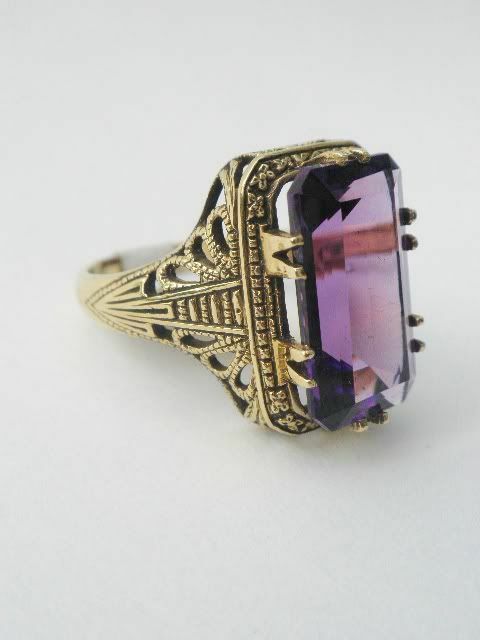 The ring is set with a single genuine amethyst measuring 14 x 8mm and weighing approximately 4 plus carats . 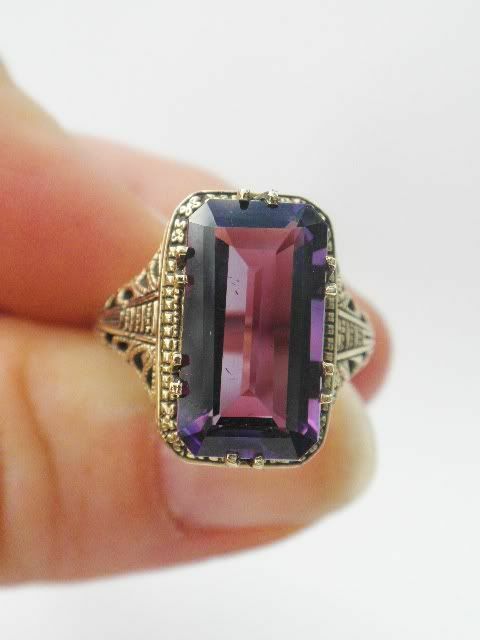 The stone is clean and of good clarity and wonderful color. 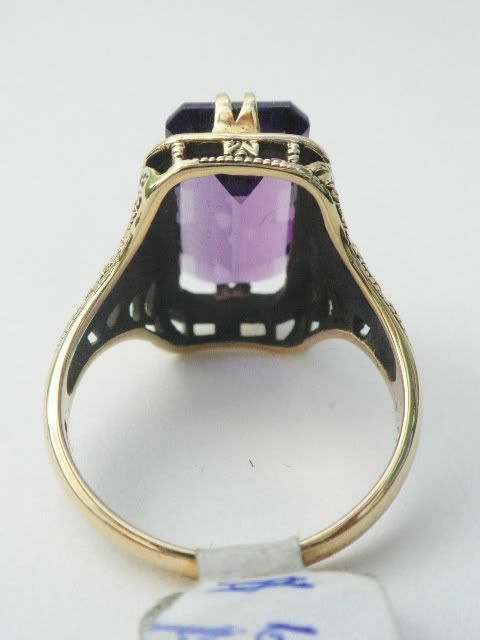 The ring is currently a finger size of 7 and can be custom sized by our in house jeweler for an additional cost.The ring measures 16mm long by 20mm wide and has a projection of 7mm and weighs 3.8 grams. 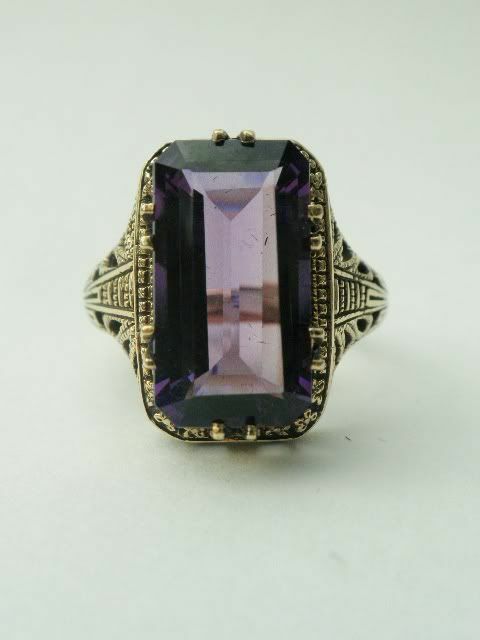 The ring while appearing antique is not but new old stock from a retiring jeweler friend of mine. 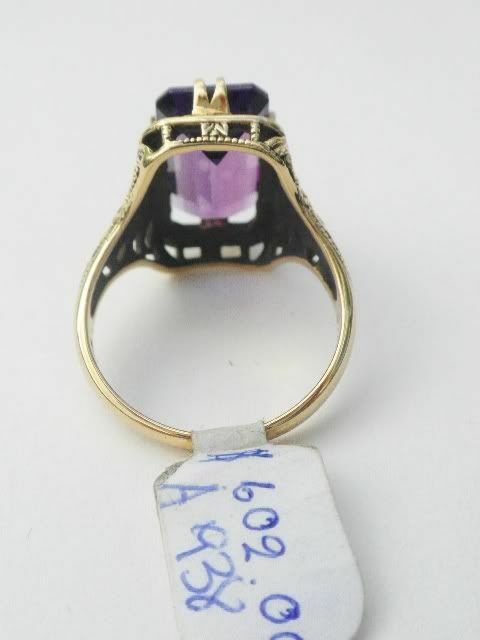 The ring is in mint condition offered at a fraction of retail.